- Extract the Samsung SM-G531H Rooted Firmware, You will get *.TAR.MD5 file. - Run Odin3.exe flasher as administrator. - Make sure that only Auto Reboot and F.Reset Time options are checked. - Click on AP button and select the extracted *.tar.md5 file. - Turn off your Galaxy Grand Prime VE, And remove battery for 10 seconds. - Put the battery back and put the phone into Download Mode. - Connect the phone to your PC using the USB cable. - Wait until Odin3 detects the COM port number of your connected phone. 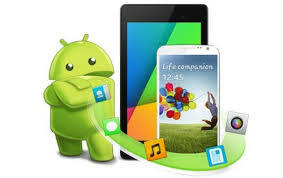 - Click on Start button to install the Rooted firmware into the Galaxy Grand Prime VE Duos. - Do nothing until Odin3 reboots your phone. - Your phone will be rebooted automatically, So wait for it. - When you see PASS! Word in green at Odin3 flasher, You can disconnect the phone. - Congratulations, You have rooted your Samsung SM-G531H Galaxy Grand Prime VE Duos. - Done, Now you have SuperSU app installed on your phone. - Keep in mind that you are going to use this ROM on your own Responsibility. - Make sure to download the suitable firmware version for your phone. - In case your phone stuck at Bootloop, Then you can reflash it with any Stock Firmware to fix it.